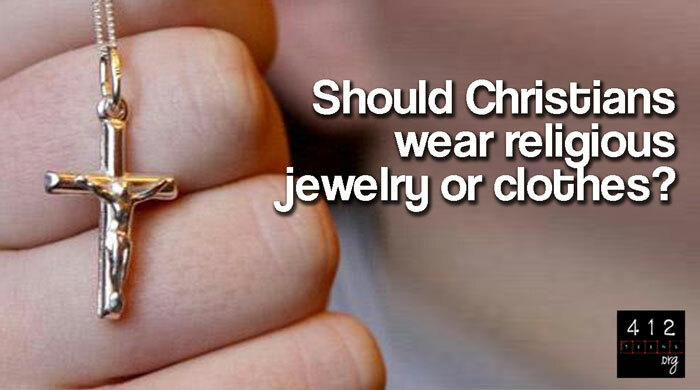 Should a Christian wear religious jewelry or clothes? Is it okay to wear a cross or crucifix? Many Christians wear cross or crucifix jewelry or "Christian" clothes, but as your mother always said, "If all your friends jumped off a bridge would you?" Not that that answers the question necessarily. Your friends might also be doing something good. Since the Bible doesn't talk about using Christian symbols as clothing and accessories, how can we figure out if wearing a cross around your neck or wrist or on a ring is a good choice for you? One of the arguments against wearing crosses as jewelry is that back in Jesus' time, the cross was a symbol of torture and death. So wearing a cross today would be the equivalent of wearing a miniature electric chair around your neck. However, this argument, while vivid, doesn’t really work because Christians did not start wearing crosses until after crucifixion was no longer the primary source of capital punishment. 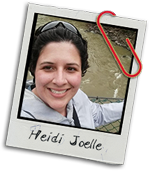 Let's draw from biblical principles to help make the decision about whether or not we should wear crosses, other religious jewelry, or "Christian" clothes. Where is the focus of your worship? First and foremost, if your cross or crucifix becomes the object of your worship, instead of just a symbol, then it is clearly forbidden by Scripture (1 Corinthians 10:14). To worship the cross itself is to make it an idol. We are to worship God directly, not an object in His place. Are you trying to look like a Christian? Second, our focus is not to be on our outside appearances (1 Peter 3:3). No, that doesn’t mean it's okay to go to school looking like you just rolled out of bed. While it is a privilege to dress ourselves and present an image to the world of who we are, that should not be our focus in life. "Christian" attire is definitely a thing—shirts with Bible verses, jewelry with crosses or even purity rings, shoes with a fish symbol on the side, a backpack with a Christian band logo, buttons that ask spiritual questions...you get the point. But is working so hard on looking like a Christian as important as paying attention to our hearts? If it is, then we’ve missed the point (Matthew 23:27). God is not concerned about how "Christian" we look on our outsides, He is concerned about our hearts bending toward Him, focusing on worshiping Him, and bringing Him glory. Instead of trying to look like a Christian, act and think like one. Are you offending another believer? Third, ask yourself if wearing a cross or crucifix or "Christian" clothes will cause someone else to stumble in their walk with the Lord (Matthew 23:27). Maybe one of your Christian friends feels convicted that wearing a crucifix is wrong or disrespectful and seeing one makes them uncomfortable. If that's the case, then don't wear your crucifix when you're hanging out with that friend, or hide it from view under your shirt. This is one of those topics that different believers will come to different conclusions about, and each of us is left to our own conscience to decide if wearing religious clothing or jewelry is okay for us personally. For some Christians, wearing a piece of religious jewelry or clothing can be an excellent opportunity to share your faith and act as an expression that you are proud to be a follower of Christ. There is nothing wrong with that at all. For other believers, they would rather "wear their faith" in a different way. And that is totally fine too. As wearing religious jewelry or clothing is not an issue outlined in Scripture, we are not to judge if someone comes to a different decision than we do (Romans 14:22). Pray about it, check your motives, and never get so caught up in your physical appearance that you forget the meaning behind the cross. Should Christians girls dye their hair or wear makeup? This is one of those topics that different believers will come to different conclusions about. Since religious jewelry is not a topic outlined in the Bible, each of us is left to our own conscience to decide if wearing religious clothing or jewelry is okay for us personally. If you decide not to wear it, don't judge others who come to a different decision than you (Romans 14:22). If you want to wear it, pray, check your motives, and never get so caught up in your physical appearance that you forget the meaning behind the cross.